Spring is here! It's a time of rebirth and renewal. And as Headmistress McGonagall glances at the tomes scattered around her office, she can't help but think that it may be time to breathe some new life into the Hogwarts curriculum as well. So she's off on a world-wide tour, visiting wizarding schools across the globe to examine how they teach various subjects in the hope of finding some new ideas for Hogwarts professors to spice things up. First it's a swing through the global south as she takes in African wildlife and transfiguration tips in Uagadou Wildlife. Then it's across the Atlantic to Brazil where they are apparating around Castelobruxo's Castle. 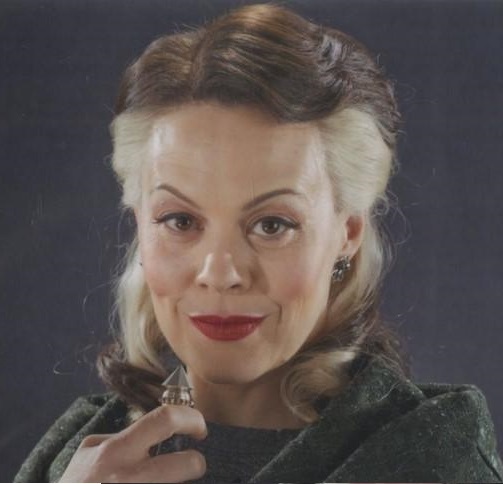 Third, she travels to North America to gather Prof. Binns fresh new ideas for teaching the history of magic as she browses through The Ilvermorny Diaries. Then past the Pacific for potions lessons while Missing in Mahoutokoro. Fifth, the home stretch brings McGonagall back to Europe. It's a quick stop in the cold North where Igor Karkaraff can argue the merits of dark arts education in Darkly Artistic Durmstrang. Finally, a mere English Channel from home, Beauxbaton's Academy of Magic welcomes her with a giant feast where each course has a special twist; cooking with magic will never be the same again. Nor will anything about education at Hogwarts. Love is just an illusion created by emotions with an expiration date. I think I will do 2 of the task since making a stories is such a hard thing for me to do. Oooh I love this event, the concept and all the tasks! Super excited to get started. Glad you got to finish it, Morgana. If you couldn't do it, that'd be terrifyingly intimidating. Haha I know the feeling. How many times I have almost completed logic grids on Hex, then realized I misread or misinterpreted a clue and had to do it all over again hahaha, I don't mind though, logic grids are my fav puzzles. Wicked Always Wins! // You can't trick me dear. This event has some really interesting contests! Looking forward to it! I found the logic grid to be really simple and straightforward. It even had multiple repeated clues. Shtt don't complain I could use more easy contests like that! That wasn't a complaint; it was just a statement since others are talking about the difficulty. but i later posted that "I mis-read one of the clues so I was a bit confused"
And also that you're not sure if it's right. i usually get logic grids right, but you never know. . . This looks fun - great idea! Thank you. Now if only I could magic a few more hours into my day. . . Can’t wait to get to my desktop. I love the theme of this contest! 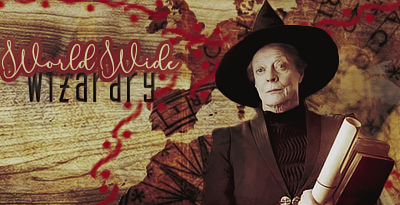 I love traveling and learning more in those locations, so I think it is great that Professor McGonagall did the same thing!